We made sure to get to the Walt Disney World Hollywood Studios, park, take the tram, get through security and stand in the ticket line before the park opened. Since we were staying off property, we also made sure not to plan our day with the Hollywood Studios being open early for the Extra Magic Hours (since spots would have already been filled up with resort guests). Once we got through the gates, we quickly made our way to the ABC Sound Studio (down the center street and take a left when you get to the Chinese Theatre.) You’ll see a cast member outside with a sign and then line up in the queue. (Note, there is a bathroom right next to it so perfect for a pitstop if you need to tag team it while in line!) You’ll need to leave strollers outside the line, but no need to wander for find the stroller parking, as you can leave your strollers right outside. I was surprised at how many people were in front of us despite all our planning so it is really popular! 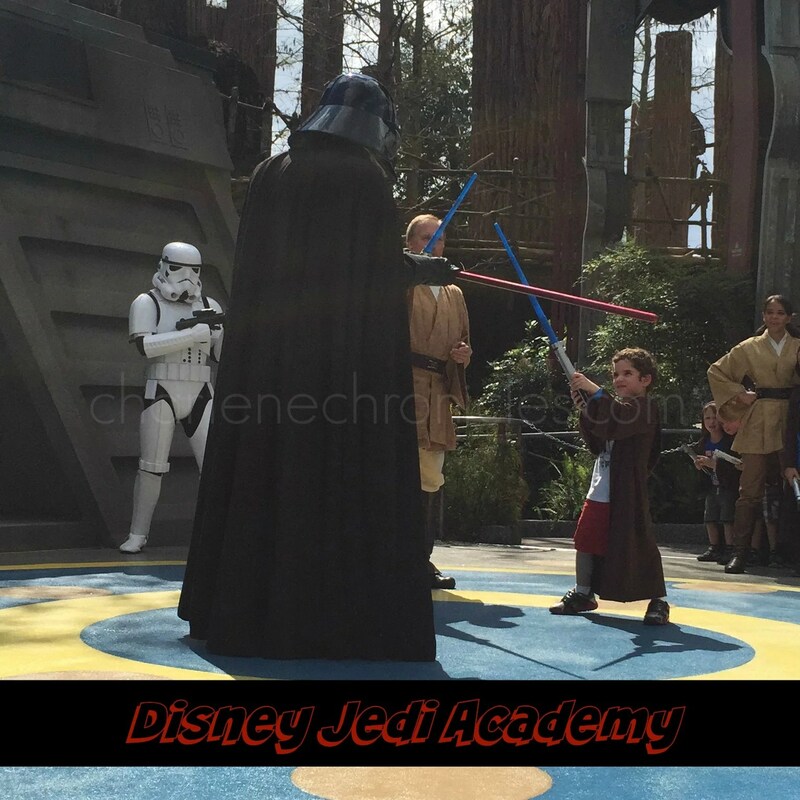 But the family in front of us were frequent participants in the Jedi Academy, so the Dad told us that it really only gets booked up entirely after the first hour the park opens. So that was somewhat reassuring when we were standing there 15 minutes in. When we finally got to sign up, all of the morning slots were taken and only the afternoon ones were available so we did our best to pick a time that would work for the family. So think about options as you wait so you can pick a time quickly when you speak to a cast member. They asked for my son’s name and age (at the time of the post, it is only for kids 4-10) and asked him a couple of questions like, “Is he willing to battle forces of evil.” Then we got a paper ticket (don’t lose it!) 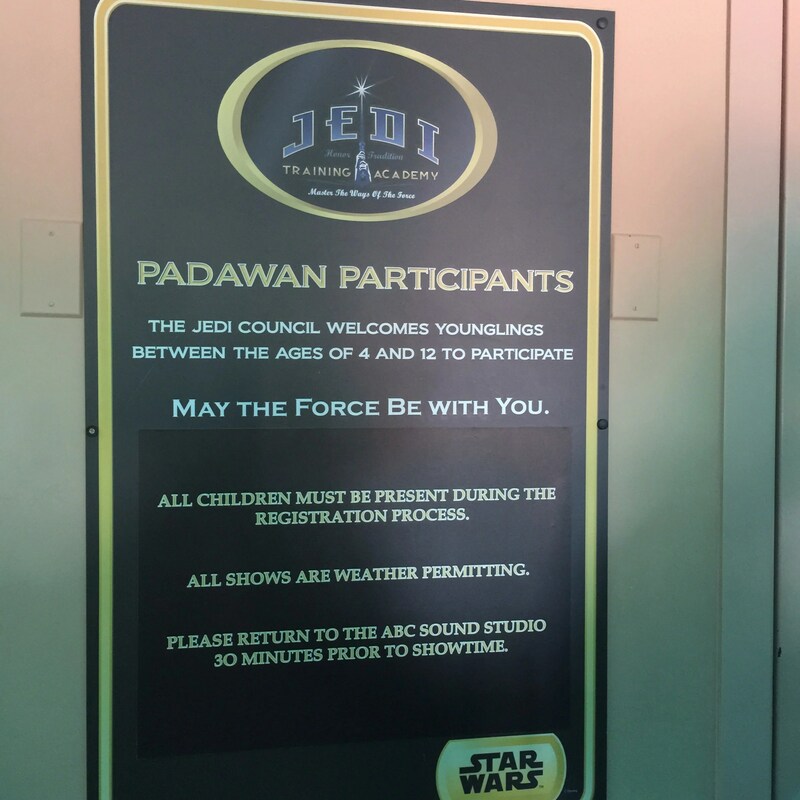 with our return time which is 30 minutes prior to your Jedi Academy time. 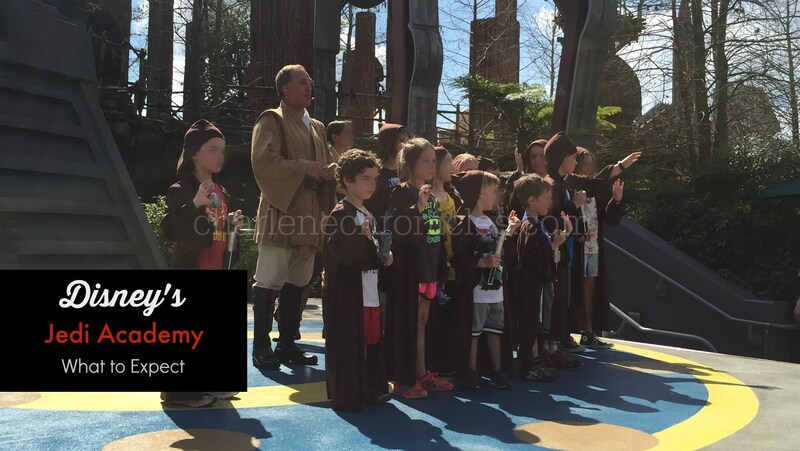 So if you picked a Jedi Academy time of 1:10pm, you have to be back by 12:40pm. Again, something to note when you pick your time. We enjoyed the park and then at our appointed time, headed back to the same location where we signed up. It was cool with seating and a movie for the kids. Then it was time to get ‘suited’ up. 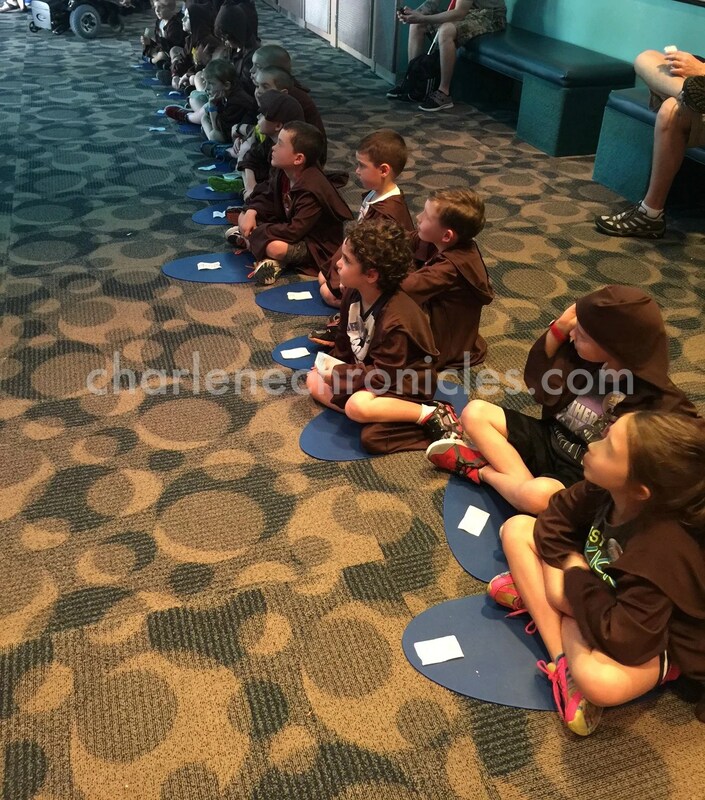 The kids sat on circles, did some listening exercises, got their Jedi robes, and then we waited a bit before the kids lined up to head to the area for the Jedi performance. One tip I have, especially for the young ones, is to see the performance in advance so your child can watch and see what is expected. However, if you want it to be a surprise, then wait for the big ‘moment’. 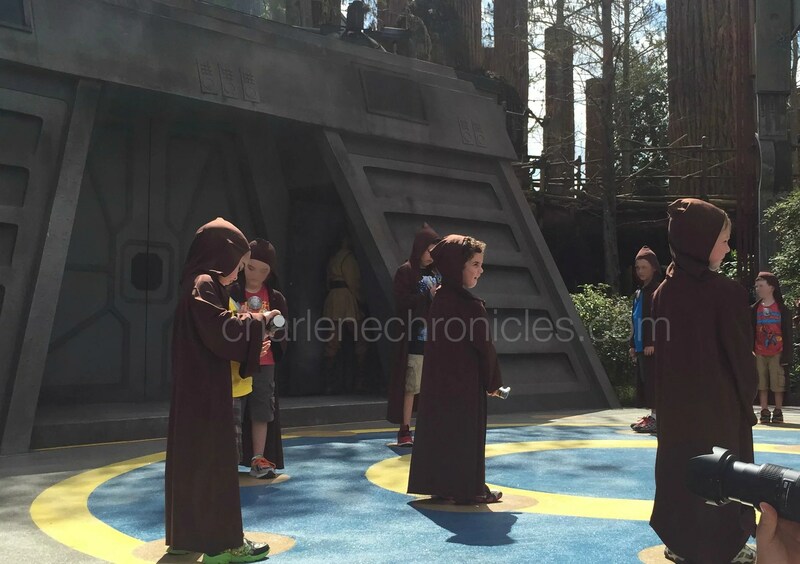 You can have siblings waiting in the area with you and your Jedi Academy participant. So you can stay together as a family if you wish. As the audience claps, the kids become Padawans and each gets a ‘diploma’ to take home. The whole performance took about 10 minutes and then we were done once he came down from the stage (beaming from ear to ear and declaring he needed his own light saber! (You don’t get to keep the light sabers or robes.) So we went into the gift shop around the corner (where the Star Tours ride exits on the other side of the Endor Tree.) You can get a light saber or make your own for about $25. There were also some photo opportunities with a Speeder Bike nearby with a great backdrop! All in all, it was an amazing Disney experience for all of us and so worth the time away from the shows and rides. It truly was a highlight of our Disney vacation!